Hello there! It’s been a minute since I’ve published a blog post, hasn’t it? Can you believe I started Caitlin Cosmetologist 3 years ago? My blogiversary was actually in June but I’ve needed a break because life has been nutso. (Hopefully) I’ll write a post on that soon. For like a year I pressured myself to post consistently and make them the best I could but now it’s been 4 months since I’ve published anything and I kinda don’t see the big deal. This is a passion project for me. If I wasn’t feeling passionate about it then maybe a break was needed. I’ve said before that I started this blog having no idea how to run a blog. 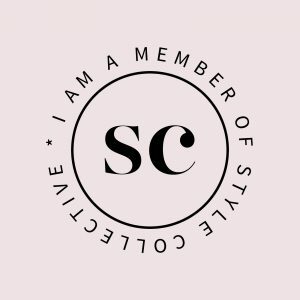 I wanted to help people AND share my cosmetology knowledge. Looking back, I haven’t done a good job with helping people. I think once I started learning more about blogs and reading other people’s I got overwhelmed by it all and sharing “too” much made me feel vulnerable. It was easier to post about beauty products so I stuck to that. Adding wellness posts helped me feel more connected to my blog but those posts are much harder to write. CC was never about money for me. I like the structure of a work schedule and being around other people. While I do think it would be nice to make a supplemental income here and there I didn’t think, and still don’t, that it would become a job for me. I think that fact made this journey hard sometimes. That’s not to say that my blog is lesser than anyone else’s but sometimes it feels that way. There are plenty of bloggers that run their site on the side but sometimes they get overshadowed by the ones that do it full-time and it’s intimidating. This post isn’t about that but I wanted to share my 3 year experience. How ever many views I get- I’m so thankful for each one. To have a place of my own on the giant interwebs feels so good. So what’s new with my blog? • New hosting. Meaning you can pin again!! Earlier this year there was an issue with my site that made it so you couldn’t pin anything to Pinterest from my page. It was something my hosting company should’ve fixed. The problem went on for too long but I didn’t want to pay to switch hosts if I wasn’t even feeling motivated to blog. I finally bit that bullet because I wasn’t ready to give up on CC. Since I switched I haven’t had any issues, which is exciting! • Fashion and shopping tips for my fellow tall babes. Finding clothes that fit well is tricky for all shapes and sizes but I don’t see as many “tall bloggers” on Instagram. I don’t do many style shoots but I’d love to start incorporating this aspect into my site to help others out. • Faith & inspiration. I’d chosen previously not to include faith or religion on my blog or social media pages. But, my faith is a big part of my life and doing so could be another way for me to connect to my readers. • Try to bring relatable content. I want to build a community while sharing my life experiences. That means finding a way to add wellness, faith, and inspiration into more posts. • Honest reviews but not negative ones. If I don’t like something I probably won’t talk about it. And I won’t say I like it if I don’t. What would a blogiversary post be without a look at some of my favorite posts from the last year? This drugstore mascara post was one of my most popular. And this is the wellness post I’m most proud of. I also added my Shop My Instagram page this past year! I’ve enjoyed being able to link affordable items from my Instagram posts and share my favorite products here on the side bar. I really feel like I still don’t know what I’m doing. But I guess I’m gonna embrace that and just write what my heart tells me. Because like I’ve said before, my blog is a work in progress, much like my life.